Field Maneuvers celebrates its fifth birthday in 2017, but five years in it’s pretty much business as usual for the not-for-profit festival, which has steadily built a revered name for itself around a fairly simple but effective formula throughout its half decade. 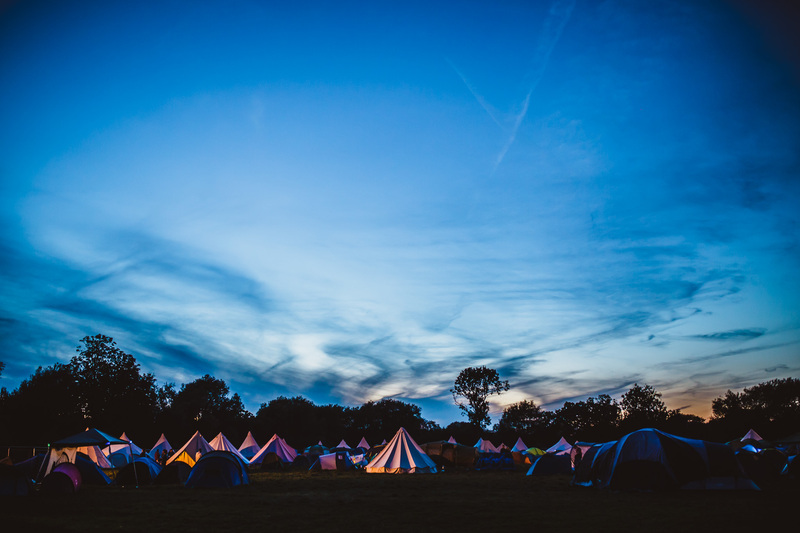 Held in the same secret location where Field Maneuvers 2016 took place, the 700-capacity event is again built on a no frills philosophy, placing intimacy, ease and music at the centre of the party. And the timing of a festival of its type is a masterstroke by the event’s organisers as, tiring at the end of a busy summer spent partying in fields and beaches through Europe, it would be easy to feel daunted by another three-day festival. But, just an hour north-west of London and a short drive from the local train station, the event’s compact site makes it a different proposition to most events boasting a line-up like Field Maneuvers’, as its stages take no more than a minute to walk between, whilst the entire space takes no more than five minutes from end to end. Pair that with the festival’s focus on investing the majority of their resources into the impeccable music programme – which clearly courts a roster of DJs all capable of constantly surprising the crowd with their selections – alongside huge sound in intimate spaces, and you start to understand the September festival’s unique charm. Despite the site being compact, Field Maneuvers’ organisers make full use of the space. The Main Stage is actually two stages, the outdoor booth in the centre of the field that’s flanked by a huge ‘LOVE’ sign and giant flamingos, which is put into use during the daytime when weather permits. At night, the music moves to the indoor stage, which features two large screens angled at 90 degrees that are touching distance behind the artist, decks just feet away from the front row and a huge system, all creating an intense party space for the festival’s headline acts to perform. 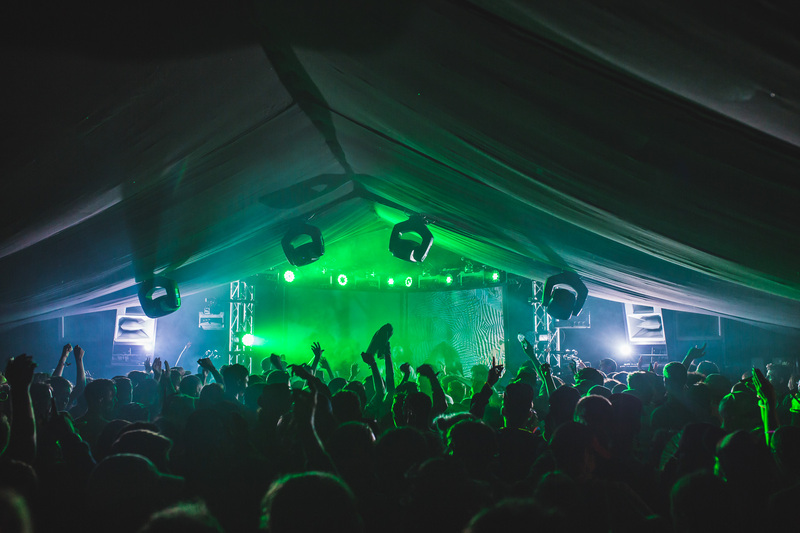 Sputnik, a small dome that lies in the bottom corner of the field, hosts an array of heavier sounds at the festival – from techno through to d&b – and can be heard rumbling in the background as you traverse the site through most of the weekend, seemingly calling the crowd outside. Once through its small curtained entrance, you’re hit by the heat and immense bottom end on a tiny dancefloor packed with ravers who dance under lasers that fire low overhead. 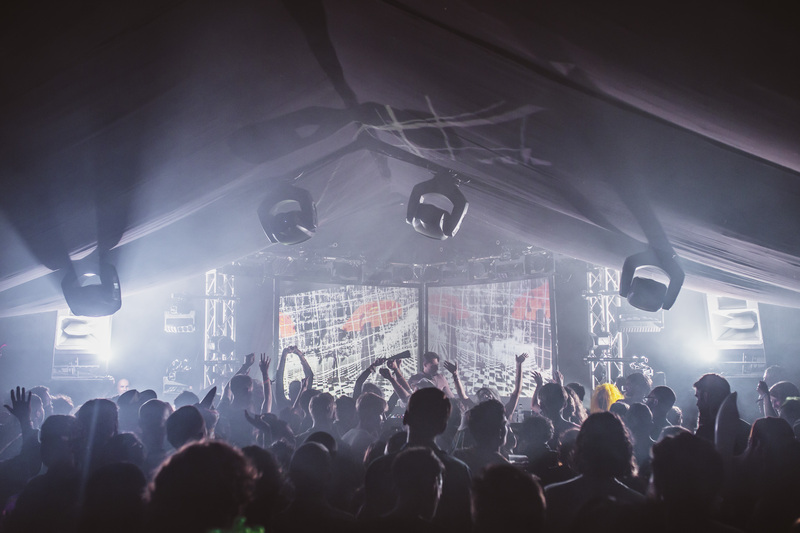 Finally, the third Field Maneuvers tent – programmed by Jane Fitz and Jade Seatle – is one of the most unique spaces on the UK festival scene. There DJs play lights-out techno and other intensely dark sounds fitting for the pitch-black abyss inside, backed by a huge psychedelic shrine that occasionally illuminates to create the only light in the room, before plunging the dancefloor back into darkness. And because all three night stages are indoors and surrounded by a wall of hay stacks, there’s no issue with sound capping at Field Maneuvers late at night. 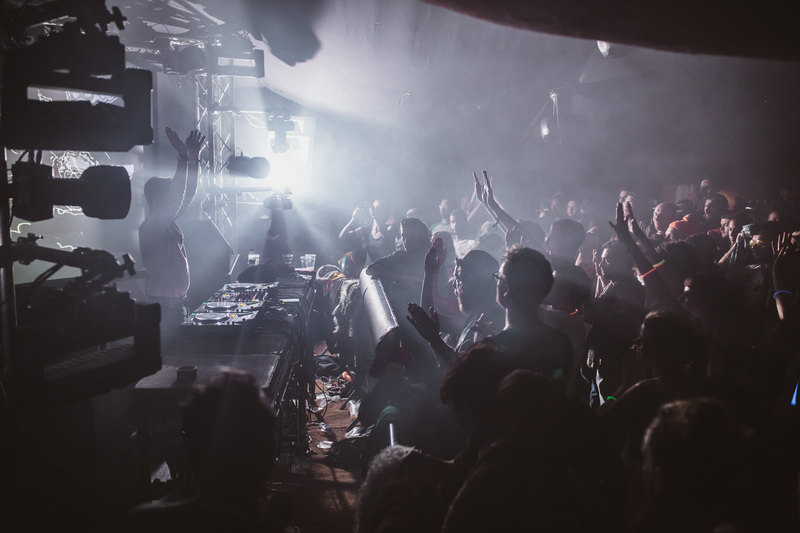 But the ease and intimacy of Field Maneuvers is only a small part of its draw, with a music programme that boasts an incredible set of residents, including Ryan Elliot, Ben Sims and Mark E, as well as guests in the size of Midland, Spencer Parker and DJ Nature. Friday’s Main Stage bill boasts a double header from Highlife boss, Auntie Flo, and Rush Hour associate, Soichi Terada. The former delivers a masterclass in weaving afro-centric tracks and rhythms from across world music into an unorthodox house leaning patchwork that’s seen his label and party become the toast of Glasgow. But it’s Terada that truly steals the show on the first night, with his high energy live set not only demonstrating his incredible back catalogue, but also his virtuoso ability as a performer. Delivering vocals through a vocoder whilst holding origami above his head to mime singing and launching himself onto the desk at every opportunity, Terada has a smile fixed on his face throughout, and his naïve sounding yet impeccable Japanese house music is met with a hugely responsive crowd packed into the main tent. Last year’s event landed on a wet and windy weekend, which meant there was a hugely different vibe on Saturday this year, as the sun beams down on Field Maneuvers all day. Cornerstone Soundsystem spin a ska heavy set on the outdoor stage to a small but appreciative gaggle of dancers at midday, which builds through Ben Sims b2b Billy Nasty’s dub selections, before becoming an open-air technicolour rave by the time Rough Draft and Iona are dropping classics like N Joi’s ‘Anthem’ and Octave One’s ‘Black Water’ in the early evening. Once the sun goes down, things move inside the main tent where Optimo Music associates, Golden Filter, perform a raw and minimalist live set that pulls from across their back catalogue, as vocalist Penelope Trappes writhes around on the desk above the crowd next to Stephan Hindman who programmes the myriad synths in front of her. 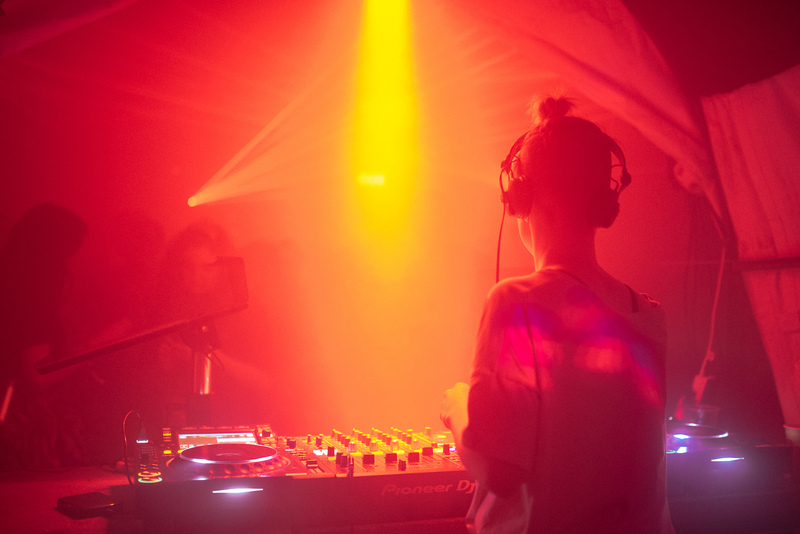 But the highlight of the weekend comes from Italy-born London-based selector Elena Colombi, who built a name through her Abattoir parties in the capital before wowing with her monthly NTS Show which is proudly billed as “keeping Mondays weird”. On deck, she spins a mind-bending patchwork of industrial, minimal synth, electro, techno, broken dubstep, new wave, post punk, ambient soundscapes, krautrock and more, resulting in a wantonly leftfield selection that often sounds like it shouldn’t work but is never anything less than exhilarating. Big things clearly beckon for this outstanding talent. Later, Octo Octa performs live off the back of a hugely prolific period of production, with her set of classy piano-led house feeling as celebratory as it is rowdy — Maya Bouldry-Morrison clearly loving every minute, throwing her hands in the air at any point she isn’t deep in concentration. Shanti Celeste b2b Golesworthy follow with a set of deep but uplifting house, before man-of-the-moment Midland closes the main stage to a capacity crowd with a set that weaves house, techno and disco. But one of Field Maneuvers’ biggest strengths is something its organisers can’t programme, with the 700-strong crowd at the event a pleasure to party with throughout. Warm and welcoming and impeccably dressed in glitter, sequins and a large dose of silver for the duration, FM punters share a clear love of music. 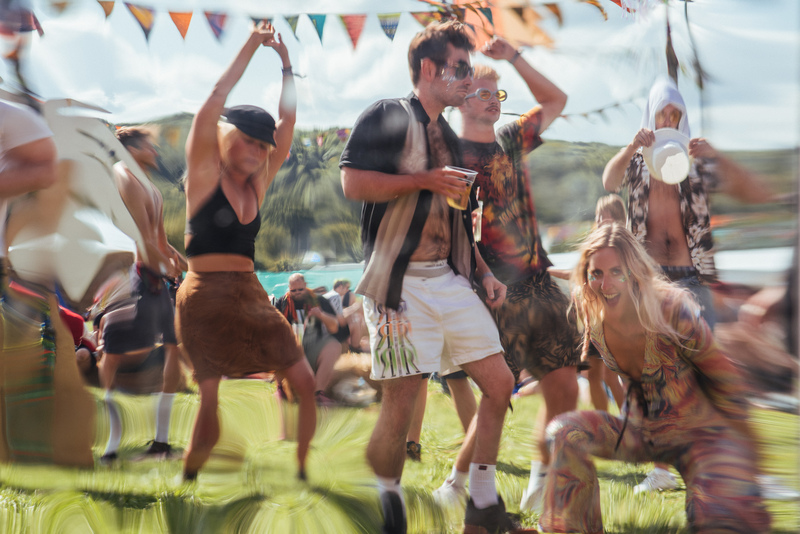 They also add to the ease of the event as, even if you do lose your mates – who you’re sure to find again before long with the size of the site – you’re guaranteed to pick a host of new ones up along the way. Five years in the festival isn’t without minor flaws. The two taps in one location on site spawns one attendee to start a tongue-in-cheek petition for more taps in future years – which organisers have promised to respond to by installing an additional water point in the campsite next year – whilst the secret 6am Saturday finish on Sputnik (the main stage closes at 4am) is kept so under wraps there isn’t enough of a crowd to create a vibe fitting for the rest of the festival. But these small hiccups are inconsequential, as it’s the kind of party that reaffirms your faith in the electronic music scene. Packing in wall-to-wall impeccable music to an intimate crowd, it encapsulates much of what’s to love about UK festivals in a tiny but effective package, leaving a Field Maneuvers size smile on your face long into the week following the event. Want more? Check out DJ Mag’s 56 massive tracks from Field Maneuvers 2017.